This month we'd like to shine the spotlight on Level 7 student Chelsea Booth. We love this determined little lady and her pro-attitude approach! She's seen regularly at the studio for practice outside of her weekly pole class and has progressed to a level that I must admit I didn't think would be possible. 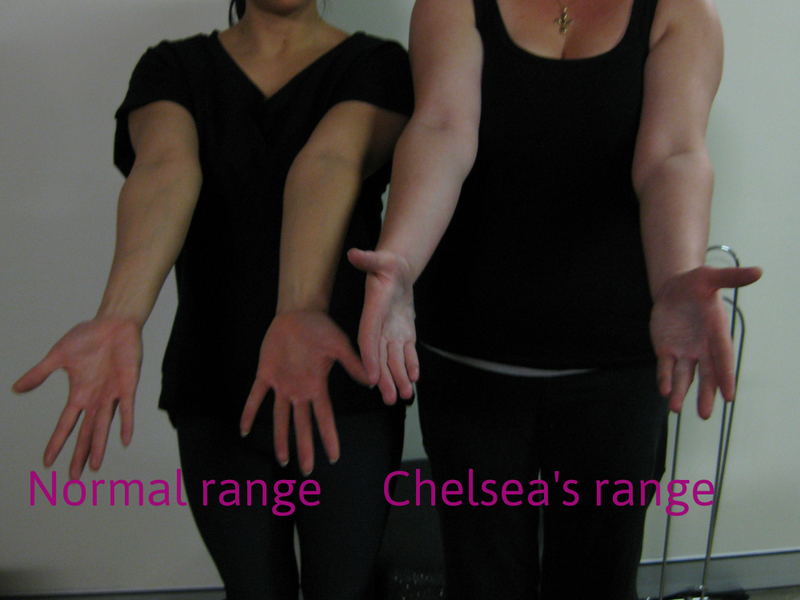 And I'm not one to doubt student's abilities but you see Chelsea was born with an unusual limited rotation of her forearms and wrists; something you probably wouldn't think would be a big deal until you decide to take up Pole Dancing!!! So back in Level 2 she brought this to my attention as she couldn't hold onto the pole safely with certain hand grips. We've managed to work around this by modifying skills but it's her determination to not give up and her drive that has allowed her to come this far. I hope you enjoy her inspirational story! SV - What led you to start Pole Dancing classes? CB - I wanted to do Pole Dancing for a long time, but I always seemed to find some excuse not to do it for example, “I'm not strong enough”, “what if I can't do it”, “I'm too fat”, “I'm too embarrassed” and the list goes on. Then one day I remember finishing work and telling myself to “just do it!” And that's when I found Studio Verve. Yes I was anxious, but also at the same time very excited. CB - Just knowing every time I step into the studio I share the same connection and love for Pole Dancing as everyone else. It's also a place I come to socialize and I've made so many good friends in the past two years. Not only do we catch up at the studio for practice or class but we also catch up outside of the studio. CB – I’ve noticed a lot of changes in my life. I’ve become a lot more confident with myself in every day challenges, especially when it comes to doing something I've never tried before. Now I’ll always give it ago before I say "I can't do it". Pole Dancing isn't just my hobby anymore, it's a part of my life; I never knew keeping fit could be so much fun! CB - Pole has given me so much more self-confidence, not only in the studio but also in my everyday life. I feel happier and more capable, and now I'm willing to try anything! CB - I’m originally from England and I haven't seen family members for over 2 years now but, from what friends and family have seen in pictures and videos, they’re amazed at the progress I seem to have made on and off the pole. They’ve also said I have great muscle definition in my upper body and legs, and that I'm a much happier person! CB - The most challenging thing about Pole Dancing for me has to be the restricted movement in my forearms and wrist; this is something I was born with. The restricted movement only allows me to rotate my wrist to no more than a 45 degree angle (I can’t turn my palms up flat) and this can sometimes cause me pain if I push it a little too much. There have been some difficult and frustrating times in the past when I haven't been able to do a skill because of this restriction. To help get around this my instructor provides me with an alternate or modified handgrip that allows me to keep up with rest of the students. I can actually say I have never been left out or treated any different from other students. I think there might come a time when I can't move on anymore as some skills can't be changed for safety reasons but I totally understand, and it's something I will deal with when it comes to that. I have to say though I never thought I would reach Level 7. Just goes to show you can do anything with a little belief and determination! 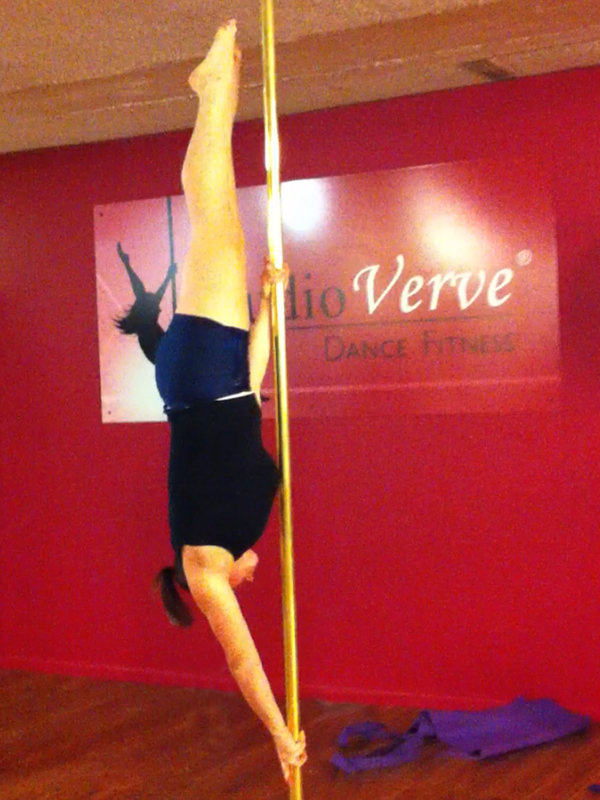 CB - My next goal for pole has to be to conquer the Handstand! And I will sooner or later. I would also like to reach level 10, but we’ll just have to wait and see if my wrists allow me to. CB - My favourite thing about Studio Verve has to be the friendly staff and students and the great vibe you feel from everyone when you walk into the studio. My other favourite thing about Verve has to be the 1 hour FREE practice a day! I wouldn't be at the level I am now if it wasn't for this. CB - My favourite thing about Pole Dancing has to be learning new and exciting moves, pushing my body to its limits and learning how to communicate with different parts of my body that I’ve never used before. There's also no better feeling then when you've been struggling with a skill and you finally nail it! CB - Anyone can benefit from regular Pole Dance lessons; all they need is the same passion and determination as the staff and students at Studio Verve. 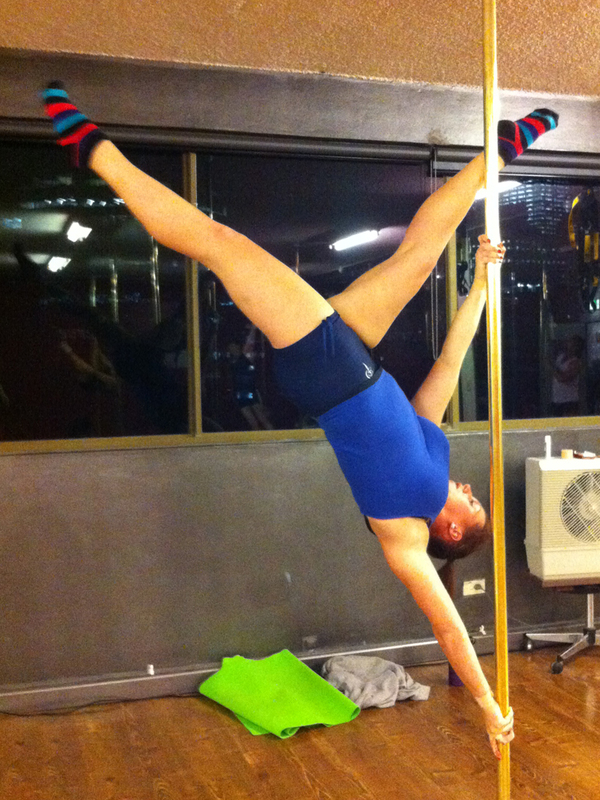 SV - For how long can you see yourself Pole Dancing? CB - I haven't really thought about this before, but come to think about it I don't think I could imagine my life without Pole. It's such an amazing, fun way to keep fit. Beats any gym! !